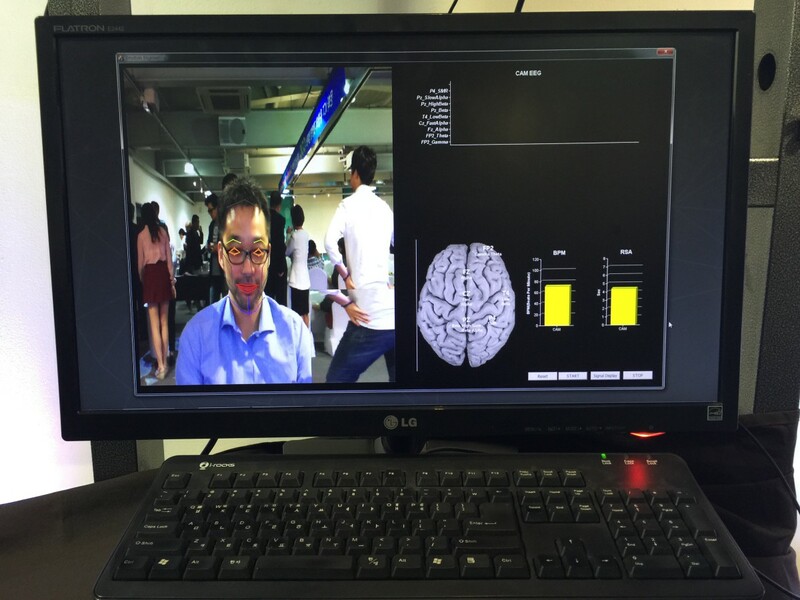 Can you detect your heart rate, respiration rate, and your brainwaves just by analyzing your face? Yes you can! Recent research has find high correlations between minimal movements in the face and certain physiological and brain behavior. 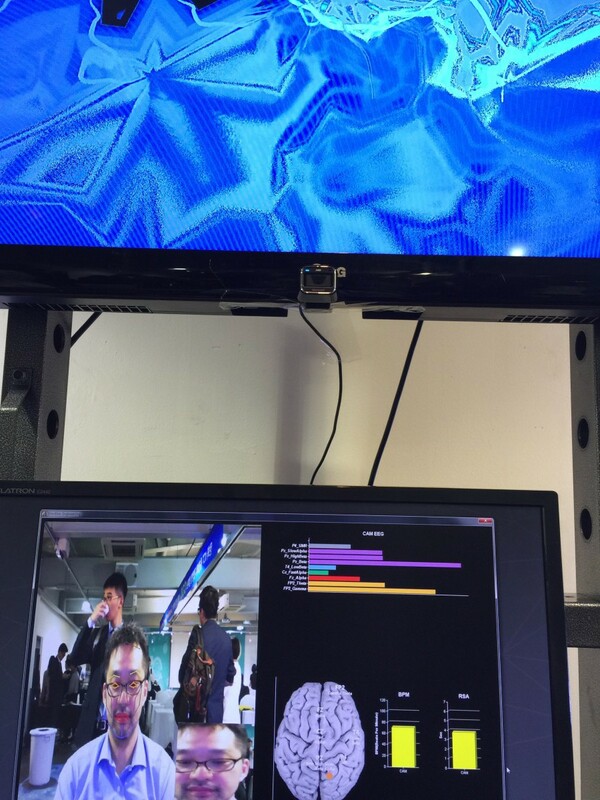 As you can see in the picture, the left screen shows the eyes and mouth highlightened in my face – they are analyzed for micro movements. The right screen shows my heart rate and respiration rate, calculated from my micromovements. A quick verification – both correct! On the next picture, you see how the brainwave information is visualized. Technically, the information was fed into a plugin of windows media player. The visualization is certainly neet, but doesn’t allow you to see any brain patterns intuitively. So personally, I was more impressed with the speed and accuracy of recognition.